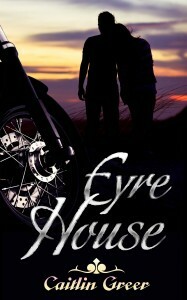 Eyre House is Finally HERE! This has been the BEST summer ever for amazing books coming out. And I’m SO excited that this week Eyre House was added to that list. You guys. Seriously, how can you not fall in love with a modern re-telling of Jane Eyre? Especially one that’s flipped the original story on its head and made the main character one bad boy named Evan Richardson? This guy is hot and sweet and oh-so-intriguing. I love that the story is told from his point of view, and that we really get to see the world through his eyes. If you want a hot, summer romance you should definitely check this one out. I promise you won’t be disappointed! When eighteen-year-old orphan Evan Richardson signed up to work at Eyre House, on the sleepy tourist getaway of Edisto Island, SC, he never expected to find himself dodging ghosts. But Eyre House seems to have more than its fair share of things that go bump in the night, and most of them surround his employer’s daughter. g or dead, trouble isn’t just stalking Ginny. When her ex-boyfriend is found murdered in the pool, Evan knows he’s got two choices – figure out what’s going on, or become the next ghost to haunt Ginny Eyre.